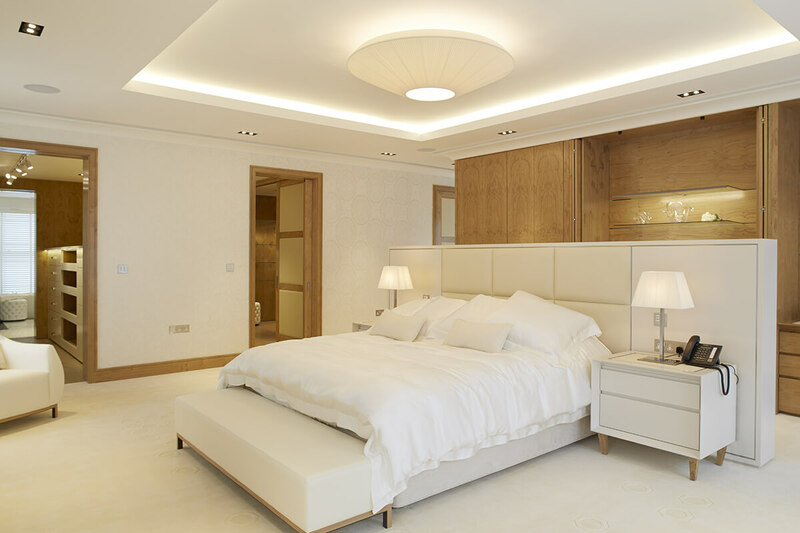 We create bespoke sleeves for our headboards - made to your specifications – and we can include a wide variety of materials and finishes such as paint finishes, wall-coverings, padded leather, upholstery and mirrors. 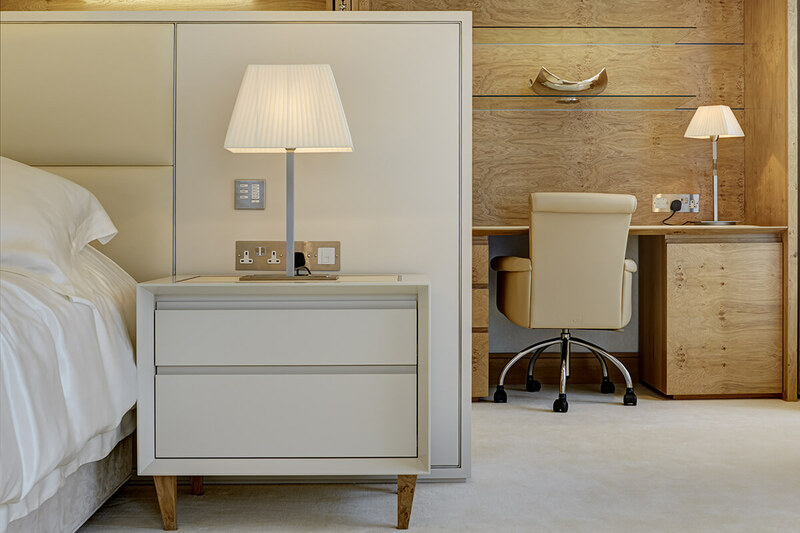 For convenience, we integrate electrical sockets for lamps and charging points. 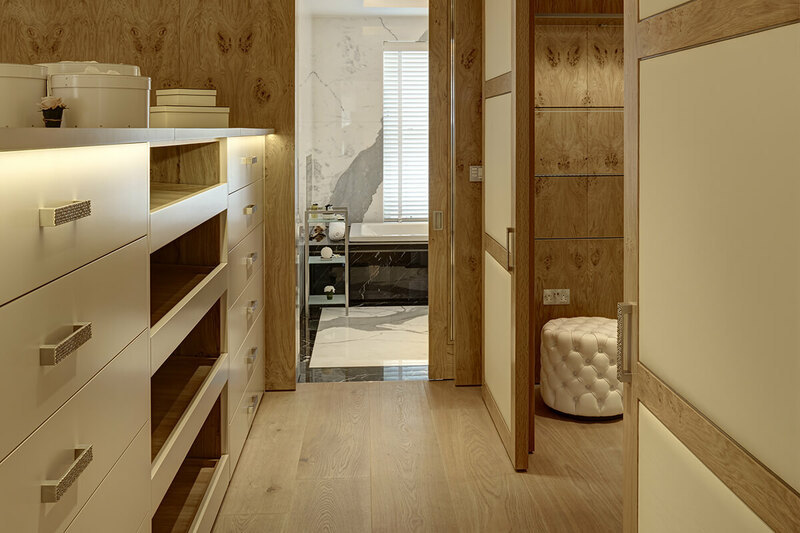 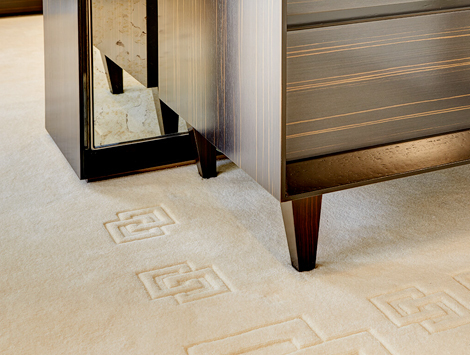 Bedside tables, desk areas and dressing tables can also be crafted to match – the look can be continued into en-suite bathrooms and walk-in wardrobes. 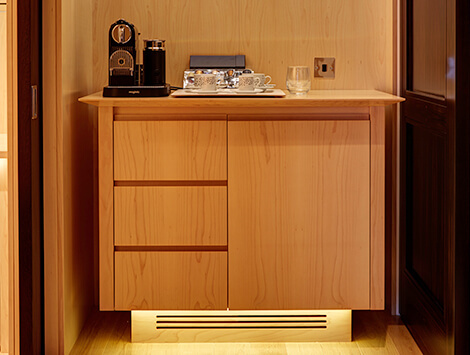 Specialist storage for safes, mini fridges and coffee-making facilities. 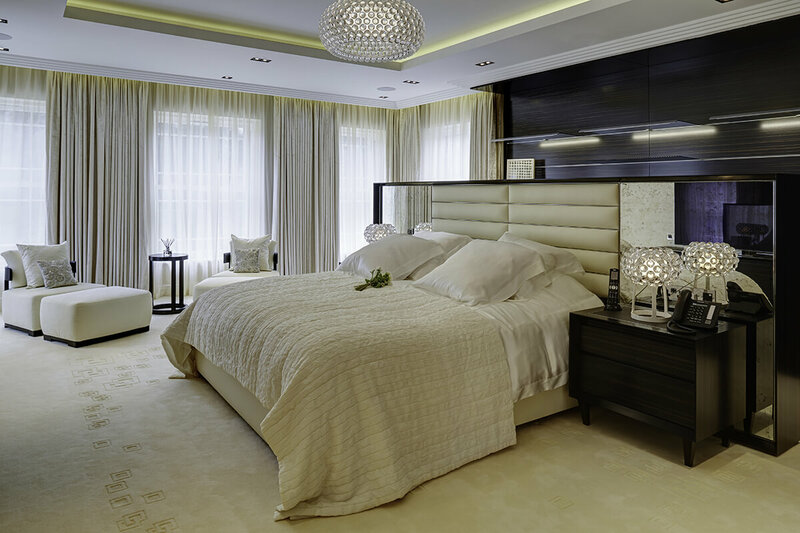 Ebony Macassar bedside tables with antiqued mirror headboard. 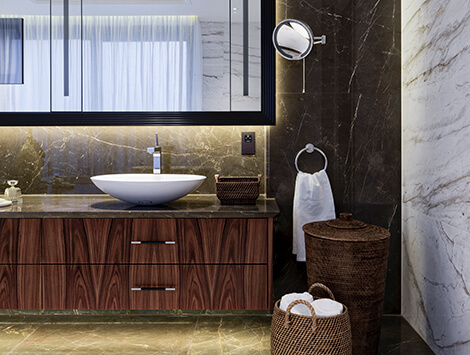 Master bathroom suite with concealed mirror storage and lighting.